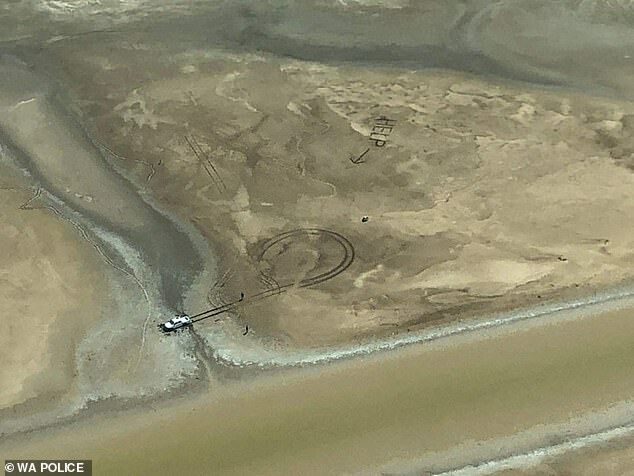 A Western Australian couple whose car became stuck in a crocodile-infested swamp have been rescued after they spelled out ‘HELP’ in giant letters in the mud. 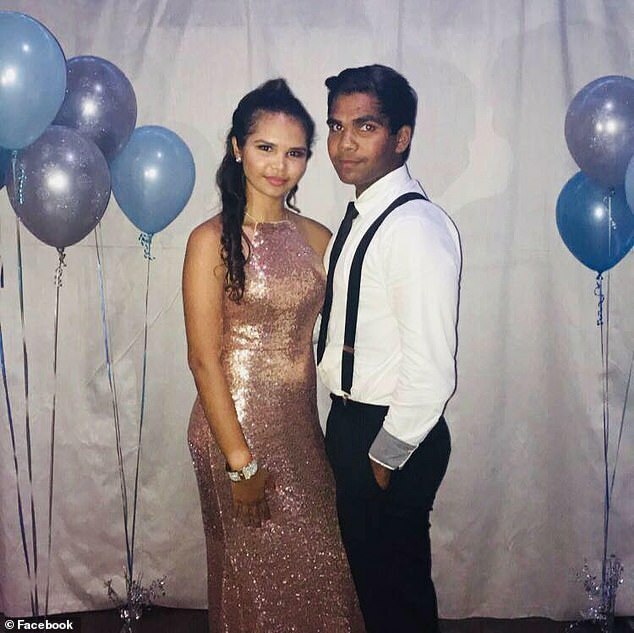 Shantelle Johnson and her partner Colen Nulgit became stuck a bog during a fishing trip to the Keep River National Park in the Northern Territory on Monday. They tried to free the car by digging around the tyres but they eventually gave up and were forced to spend the night in the marsh. 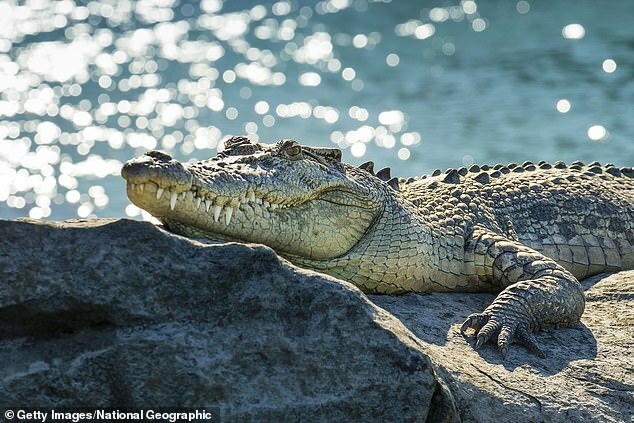 Mr Nulgit told ABC News they didn’t get much sleep because they’d spotted crocodile tracks nearby and were worried the rising tide would bring the reptiles out. ‘Earlier that day we saw two, three croc tracks – they were about five, six metres long,’ Mr Nulgit said. The couple stayed in the car the first night, but as the tide began to rise, they took their belongings, including their dog Ace, and moved away from the car. While they had told relatives where they were going and when to expect them to return, they had very little food and limited water with them. Eventually the couple realised that they would have to take matters into their own hands if they wanted to be rescued. 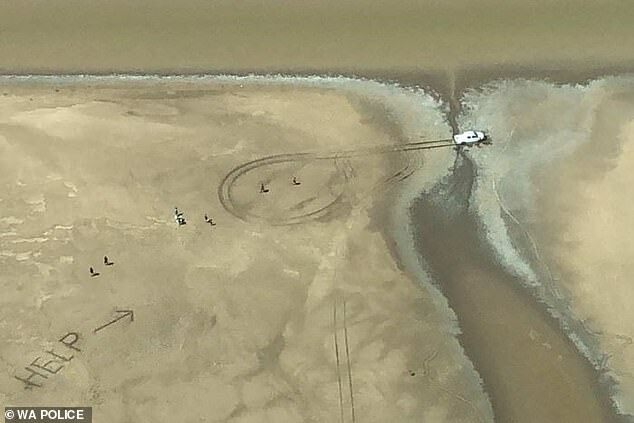 They managed to start a fire and penciled out the word HELP in the mud to attract the attention of passing planes. ‘I guess we were both upset but I had to put on my big boy boots and keep her calm and also try to keep myself calm,’ Mr Nulgit said. After more than 24 hours the couple’s quick-thinking finally paid off when they were spotted by rescuers flying overhead. 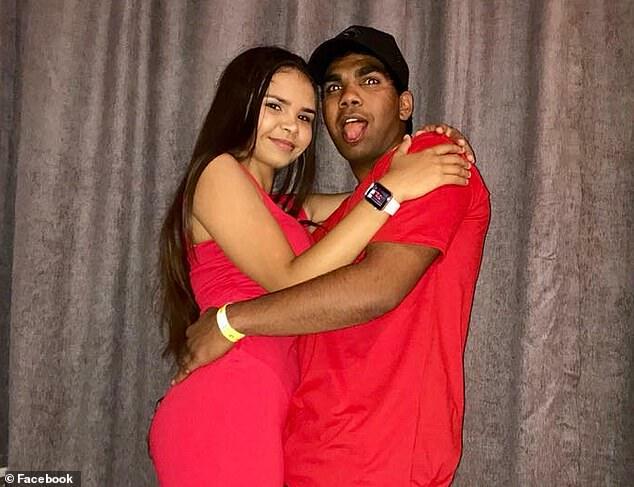 Kununurra police later praised the couple for how they handled the situation, including staying with their vehicle and for letting relatives know their whereabouts. Acting Sergeant Dean Andrzejaczek told the publication if the couple hadn’t told their family where they were going their fishing trip could’ve ended in disaster. ‘It’s always a good idea to tell family where you’re going and what time you are expected back,’ Sgnt Andrzejaczek said. Daily Mail Australia has reached out to Ms Johnson and Mr Nulgit for comment.